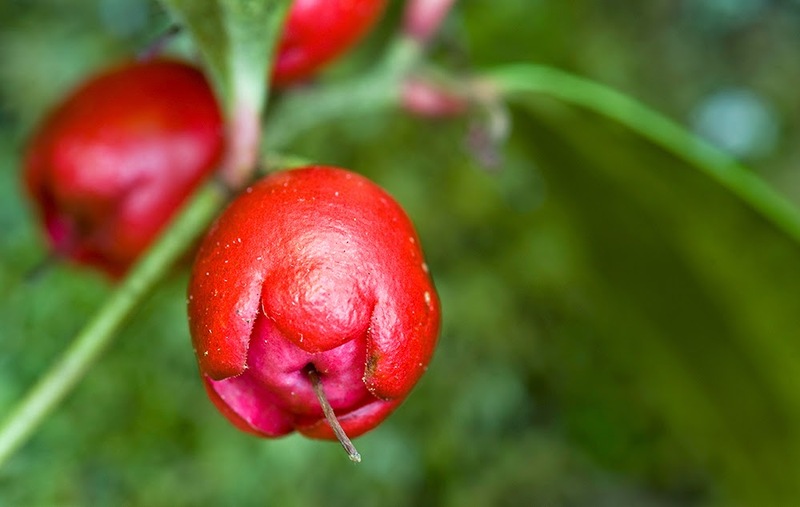 Wintergreen (Gaultheria procumbens) is a lovely little perennial, ground hugging plant in our area. 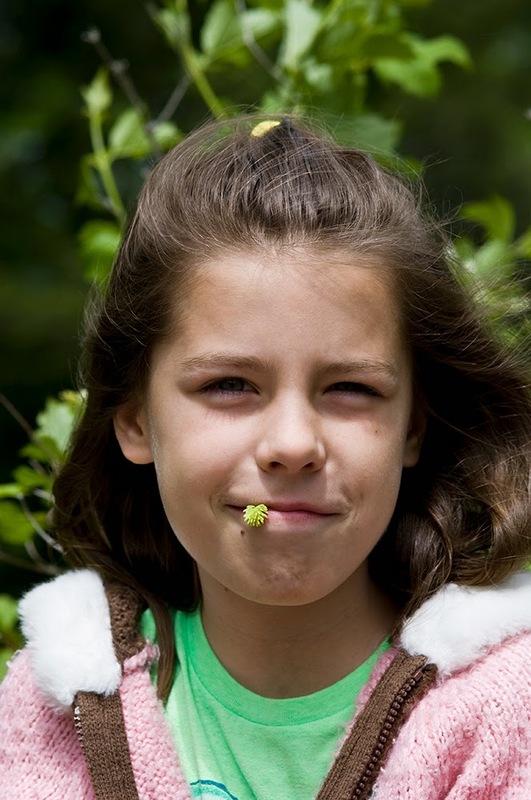 The leaves are leathery, but can be chewed while hiking for a refreshing wintergreen flavor. 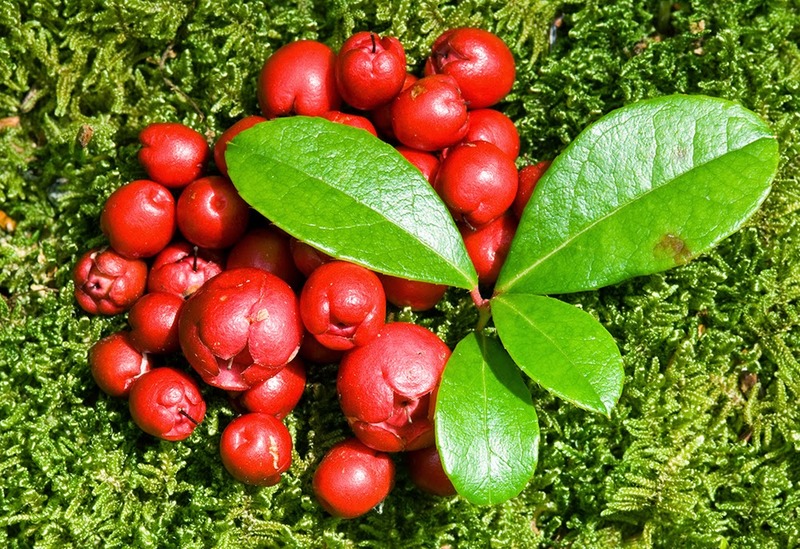 The red berries, also tasting of wintergreen, are abundant in the fall, and can over-winter into spring for gathering. We had a wild foods potluck to attend in June, so we went out to find some of last fall's berries, still clinging to the low foliage. I chopped them finely in the food processor. The berries are not juicy, they are rather dry inside with many seeds, which is why they can last under snowfall all winter. 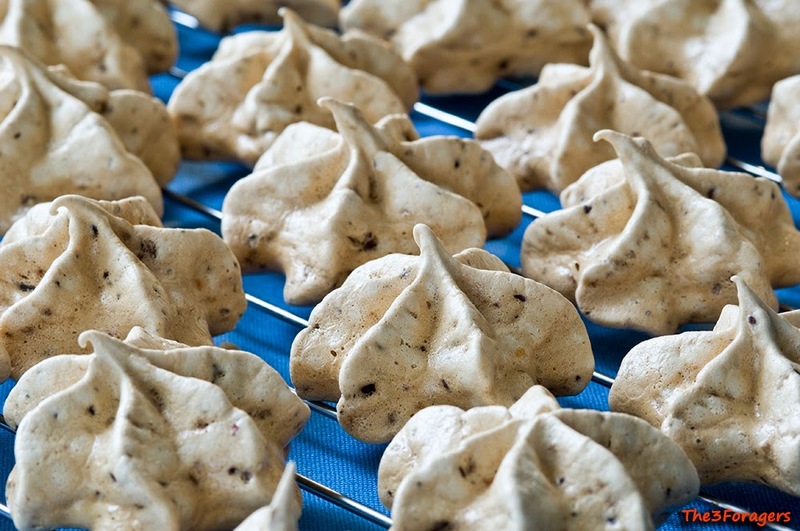 Once chopped, they made a paste, which I folded into the meringue recipe before piping into rosettes and baking. Quite popular at the potluck, I also had a hard time keeping Gillian's little fingers out of the cookie basket before they were served. There should not be too much color or browning on the meringues, if there is you need a lower oven temperature. Try not to bake these on a humid or rainy day, or they will just stay sticky and not really dry out. If you can't find berries right now, wait until late autumn to seek out wintergreen berries in abundance, most often under white pines. This recipe is availble in our book, available Spring 2016. Burdock is a biennial plant, and knowing which year plant is in is necessary before you attempt to dig and harvest the roots. From the second year's growth, we gather the flower stalk, which is delicious peeled and boiled, tasting like artichokes. By mid-June, you can tell how old your burdock plant is, because that is when the flower stalk will bolt up from the center of the basal rosette. We dig the roots from the first year's plant, since they are less woody and stringy. The roots can be dug in spring, summer, or fall, but you'll get the biggest roots in the fall. Digging in sandy or rocky soil is easier, as is digging after it rains, because burdock roots are long and tough. Often you'll only get part of the root broken off, and that's fine to use for cooking or pickling. 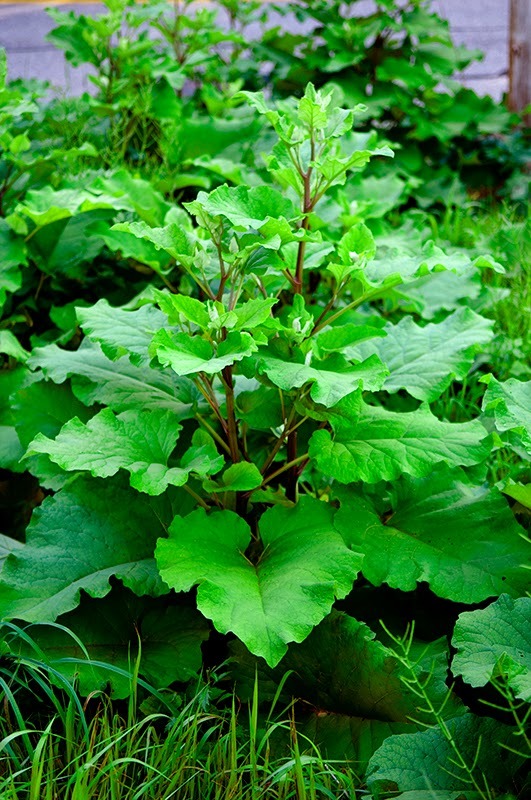 We have 2 burdocks in our area, great burdock (Articum lappa) and common burdock (Articum minus), both with edible roots. 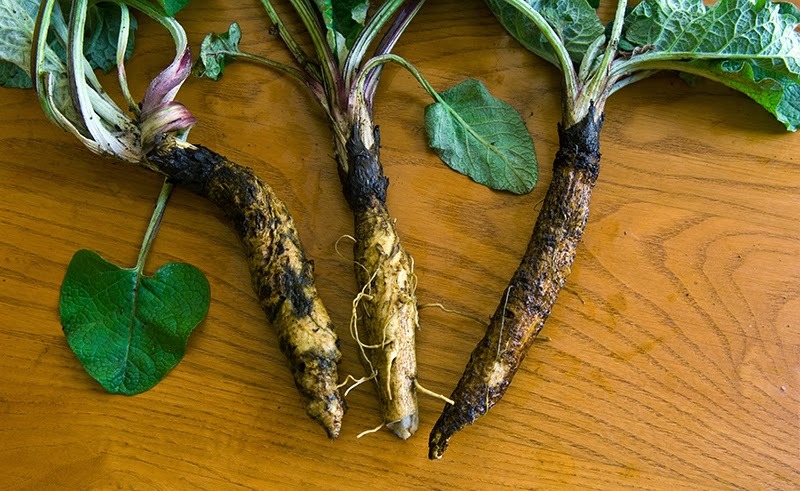 The Japanese consider burdock root a useful vegetable, and call it gobo. Here's a pickle recipe to make if you ever come across a big patch that was exceptionally easy to harvest, they're tart and make a nice addition to any pickle tray. 1. Peel the burdock root and cut it into uniform sticks. Boil the sticks in salted water for 5 minutes, until tender. 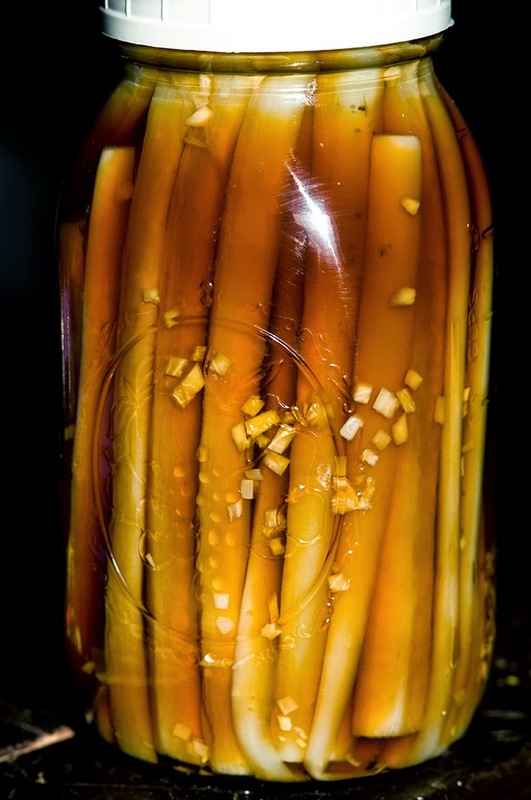 Drain the sticks, then pack them tightly in a sanitized quart canning jar. 2. In another pot, add the soy sauce, water, rice wine vinegar, apple cider vinegar, garlic and ginger. Bring the brine up to a boil for 2 minutes. 3. Pour the brine over the burdock sticks, and let it sit for 10 minutes. Add more brine if needed to cover the burdock. At this point, you can keep the pickles in the fridge and eat them in about 3 weeks. If you want to make them shelf stable, cap the jar with a canning lid and boil the jar for 20 minutes to seal. The pickles taste best after resting for at least 2 weeks, and will keep in the fridge once opened. It's already June, but it still seems a bit cool this year in southeastern Connecticut. Most plants are a bit behind schedule, extending foraging possibilities for spring plants. 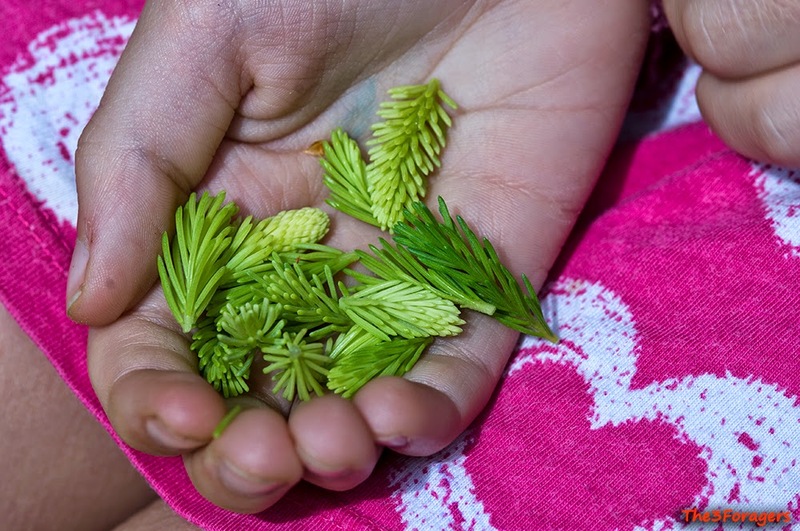 One item we have always nibbled but have yet to experiment with has been the new, fresh growth of spruce trees, Picea sp. 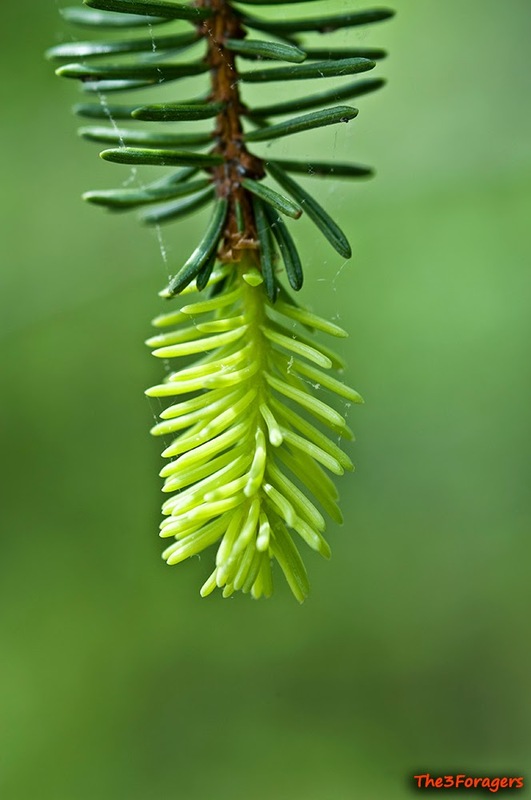 Spruce trees are your basic Christmas tree, and we mostly have red spruce growing in the wild, along with lots of ornamental blue spruce and Norway spruce having escaped cultivation. By this time of the year, the new growth has usually gotten too large and toughed up for nibbling, but we are still finding tips in some areas. The flavor is slightly resinous and piney, citrus-y, and rather refreshing. Gillian will often keep a few tips in her pocket to chew on while we hike. Maybe next season we'll get a chance to do some of our own experimenting with this spring edible, but for now I can just share some recipes on the internet. Punk Domestics is a greats site I contribute to, it collects recipes and methods for all kinds of preserving, pickling, charcuterie, recipes, and some foraging. I usually head over there to find tested, quality recipes made by experienced cooks with lots of love.